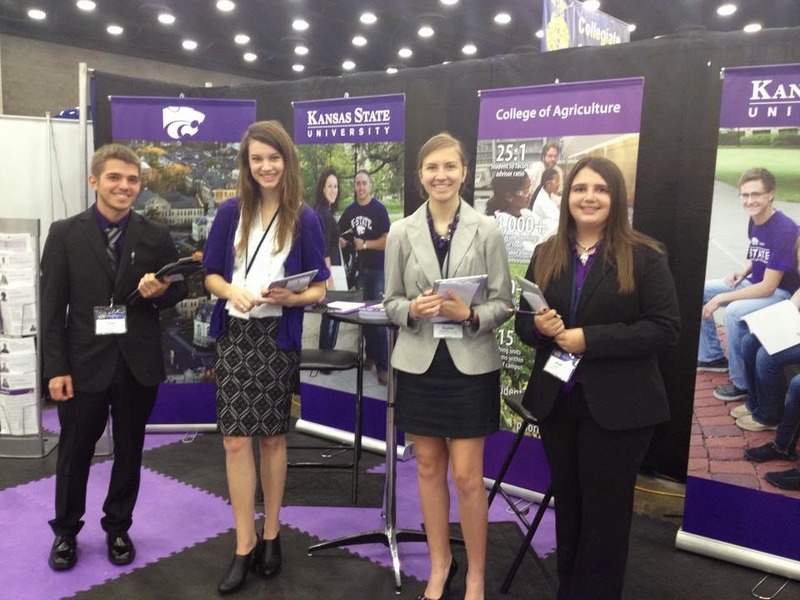 Each October, the Kansas State University agricultural education program selects students to travel to the National FFA Convention.​ These students represented the K-State Agricultural Education Club, the Department of Communications and Agricultural Education, and the entire College of Agriculture. 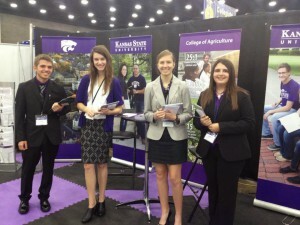 Tyler Cates, Ashley Leer, Baylee Siemens and Kaitlyn Alanis were among the eight K-State Agricultural Education Club members at the National FFA Convention. 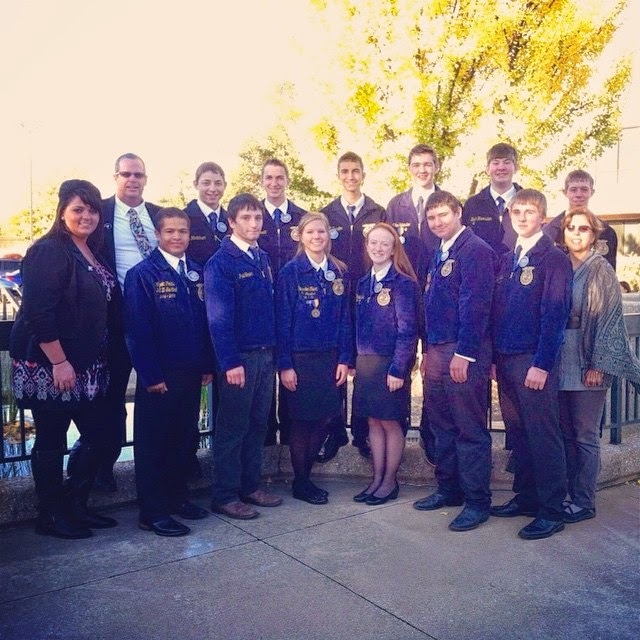 The eight selected attendees helped with recruitment efforts at the College of Agriculture booth and with national proficiency judging, extemporaneous speaking, creed speaking, and prepared public speaking events. Attendees also participated in valuable professional development events. Kaitlyn Harlow traveled with the Rock Creek FFA members because she will be student teaching at Rock Creek High School this spring. Several of the Block II students traveled to the convention with the cooperating schools they will be student teaching at this spring. The K-State seniors enjoyed getting to know their future students and practicing the role of an FFA advisor at national convention. Katelyn Vincent (first row, second from the left) was one of 12 National Teach Ag Ambassadors. 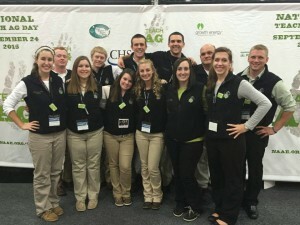 Senior Katelyn Vincent served as a National Teach Ag Ambassador at the convention. Vincent was one of 12 selected from a nationwide pool of agricultural education college students. 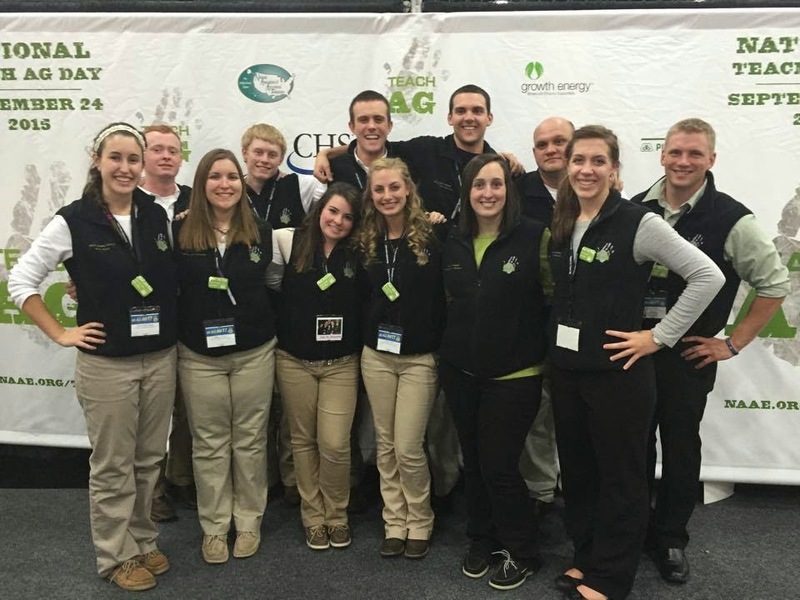 The ambassadors encourage high school students to consider becoming agriculture teachers. Vincent helped make connections with students who stopped by the Teach Ag booth at the career fair. Seniors Alicia Hampton and Hannah Anderson were selected to participate in the National Agriscience Preservice Teacher Program. Seniors Hannah Anderson and Alicia Hampton were selected to participate in the National Agriscience Preservice Teacher Program during National FFA Convention this year. Through the program, Anderson and Hampton learned about inquiry-based teaching methods in agriscience education. 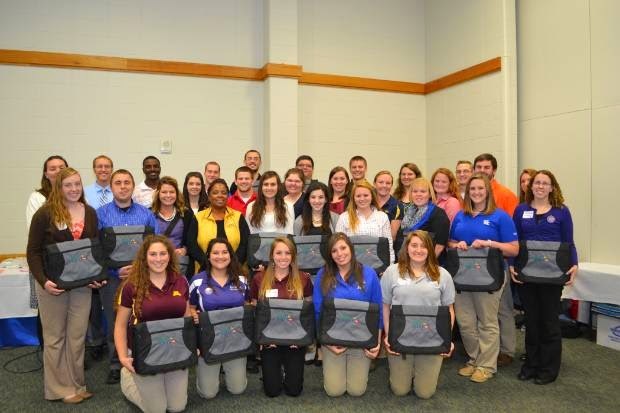 The program was sponsored by DuPont as a special project of the National Association of Agricultural Educators (NAAE). Hannah Anderson encouraged FFA members at the National FFA Convention to consider becoming agricultural educators. 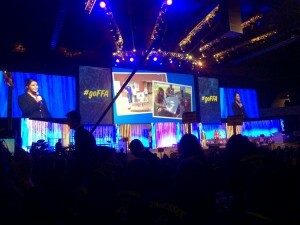 Anderson also represented K-State during the fifth general session of the convention. 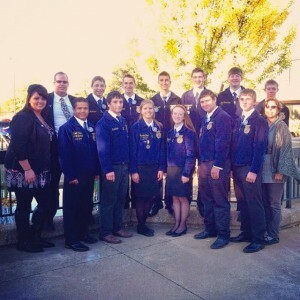 She shared the story of her journey in agricultural education and encouraged FFA members to consider starting their own road to becoming an agriculture teacher. The session was broadcast live, and it can be viewed online. With more than 64,000 people attending the National FFA Convention, this event continues to be an excellent place for K-State students to experience diversity, establish connections across the country, and grow professionally as future agricultural educators.